If you had $5 million what would you do to improve commercial and recreational fishing opportunities on the North Coast? 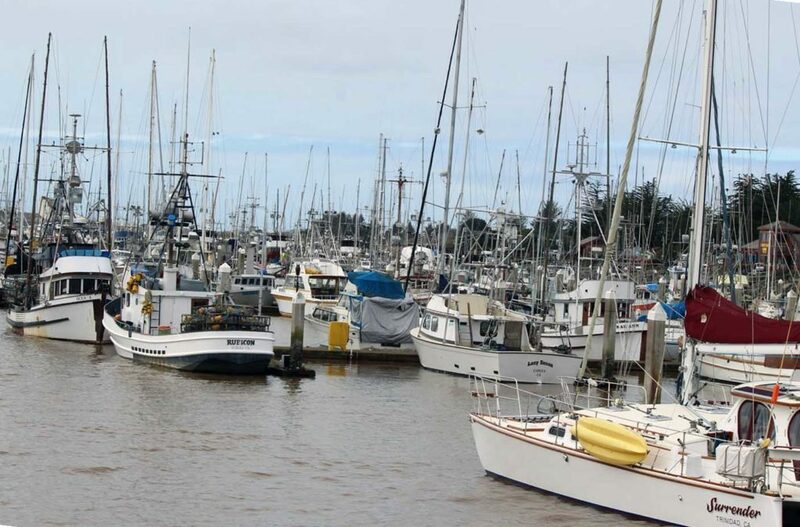 That’s a question that Humboldt State University researchers will be asking fishing community stakeholders this summer as part of a three-year Fishing Community Sustainability Planning project. Fishing Community Sustainability Plans (CSPs) are a way for fishermen to have a direct impact on the future of their port and the fishing industry. This is a proactive process which engages recreational and commercial fishermen, fish processors, boat builders and mechanics, local governments, and other waterfront stakeholders to capture their vision for the future of our ports. The ports of Morro Bay and Monterey have both recently created CSPs and are starting to see some benefits from engaging in the process. There will be two separate plans created as part of this project, one for Shelter Cove and one for Eureka. A team from Humboldt State University, led by Dr. Laurie Richmond, along with Lisa Wise Consulting (http://www.lisawiseconsulting.com/), a firm that specializes in waterfront planning, will be collaborating with fishing community stakeholders in Eureka and Shelter Cove to develop strategies for the future of each port. The work is funded by the National Marine Fisheries Service’s Saltonstall-Kennedy grant program with additional support provided by a California State University Agricultural Research Institute grant. The research team is looking for commercial and recreational fishermen, mariculture representatives, as well as fishing support businesses (such as processors, fish markets and tackle shops) to volunteer to be interviewed one on one, or to refer people in these businesses to us. This year we will also be holding public meetings for waterfront stakeholders, fishermen, mariculture, and local government representatives to open up the conversation to the people from the port and ask: What improvements does your port need to be prosperous in the future? You can learn more about this project at HumboldtFishPlan.com (http://humboldtfishplan.com). You can also follow the project at facebook.com/humboldtfishplan, or sign up for our email newsletter (https://rjd255.wixsite.com/humboldtfishplan/fcsp-newsletter). If you’re interested in being interviewed by the project team we would love to hear from you. If you fish out of Shelter Cove, please contact Laura Casali at lrs35@humboldt.edu. If you fish out of Eureka, please contact Rob Dumouchel at rjd255@humboldt.edu. See more in a video segment on the Lost Coast Outpost!